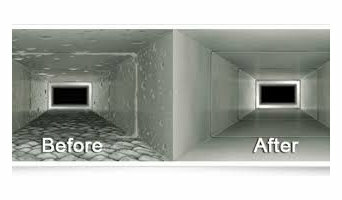 Hire the professionals of SK Duct Cleaning here we are offering the best Duct Cleaning services in Ballarat at the absolutely lowest cost. Spoiled ducts are required to be clean as it gets dirty or deteriorate because when they get damaged they produce deleterious air which can cause breathing asthamatic and health problems to the aged persons in the house. Thus, we have got the best solutions and offer the best Heating Duct Cleaning and Affordable Duct Cleaning services to our customers all across Ballarat. So contact us today. KnuWhizz Cleaning Services is an Australian Company Specialising in Quality Residential and Commercial Cleaning. All Back 2 New Cleaning, Ballarat qualified and skilled technicians to know the most excellent method for cleaning hand loomed or machine-made carpets, using pure organic compounds that are safe for your carpets, your family. Steam cleaning a carpet gets free of dust dirt, microbes and mites too. Steam cleaning a carpet gets rid of stains and also any lingering smells. 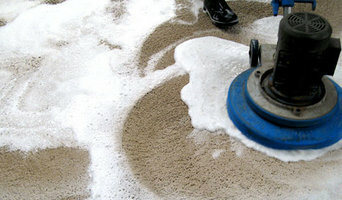 Steam cleaning is superior for the environment, it is superior for you, and finally it is much better for your carpets. We use successful suction tools to remove more of the water used in cleaning your carpets. The cleaning process we use is exceptionally successful and completely safe for the fabric and the people and animals living in your house. All of our cleaning processes use eco-friendly, environmentally-friendly cleaning products. A professional carpet cleaning surely benefits your carpet in many ways; however Carpet Cleaning Ballarat aim goes beyond the fundamentals. We want to really convert your house from a cluttered, dusty space to clean, relaxing surroundings for you to take pleasure in. We want you to be familiar with that we cleaned with the purest cleaning products obtainable on the market that are safe for you, your kids, and your pets. No matter if you have never had your carpets cleaned previous to or you are searching for a spring cleaning or even prepare for hosting an event, our steam cleaning trucks operated by our specialist team members are certain to have your carpets totally revitalized in only a few hours. So if you are lacking in the time and the force required to obtain the job done, whether last minute or far into the future, give us a call 1300 302 205 and let us give you a space to be proud of. We use most effective method and flexibility to deal with all fabrics – carpet. 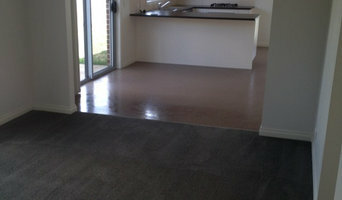 You have come to the correct place for truly expert carpet cleaning in Ballarat. Perfect Carpet Cleaning lets you rely on the work of a small, close-knit group. And services which we never finish to develop and get better. A trusted local company giving both home and business carpet cleaning across the Ballarat area in particular, we give specialist care for all fabric kinds. Perfect Carpet Cleaning Ballarat is a group of capable, experienced and fully vetted cleaners. All of our team members have considerable knowledge in the expert domestic and commercial cleaning of carpets, as well as in the removal of all sorts of marks and odours. Fresh Carpet Cleaning is a specialized carpet cleaning company for commercial and home properties, with over many years wealth of knowledge. We take great arrogance in our services, and our knowledge helps us to offer our customers with best in class service and to undertake any tasks we face. Not only we are fully skilled and fully insured, but our workers are trained every quarterly for the latest techniques and tools in the industry. Call us for a no compulsion free quote or just for recommendation on removing of spots from your carpet. Residential cleaners in Ballarat, Victoria can provide routine cleaning, deep cleaning and end of lease cleaning. A routine service typically includes general tidying up, wiping down surfaces, dusting, sweeping, mopping, vacuuming, window cleaning and toilet cleaning. Microwave and oven cleaning, laundry and the cleaning of outdoor areas are usually additional extras. You may not have the time in between packing up and moving house, but a housekeeping professional can also provide end of lease cleaning, which typically includes everything from carpet cleaning to oven cleaning. Find companies in Ballarat, Victoria that provide skip bin hire, cleaning or rubbish removal services on Houzz. Scroll through this page to find a domestic cleaner, rubbish removalist or furniture removalist in your area. Just enter your suburb at the top of this page to narrow your search. Get contact information or message professionals directly so you can ask about rates, and read customer reviews.